Last time we looked at online marketing, but what about getting out there in the real world - meeting readers in the flesh? Often called ‘traditional marketing', the tried-and-tested methods can be just as successful as social media connections and online promotions. No matter what the subject of your book, local authors make great news items for local papers searching for good copy. A simple press release should contain a headline, a photo of the author, and another of the book cover, and a straight-forward news-type write up following the ‘Who, What, When, Where, Why, How' format. Local Author Publishes Book is not good enough - you need to find an interesting angle to entice the journalist to use your item. Write it in such a way that it could be used as-is, and include your contact details in case your contact at the newspaper or magazine wants to get in touch to interview you or ask for further information. Some papers send out a photographer; others will ask you to email a good quality jpeg. Although traditionally sent out in paper form, press releases can of course be emailed to contacts. Similar in some ways to the Press Release, the AI is aimed instead at bookshop owners and managers. Your brief here is to entice the bookshop to order in copies to sell - again, the local element can be very useful - and hopefully to invite you to give a talk or signing. The AI should include information such as length of book, retail price and discount offered, genre and target readership, and how they can order copies. Follow up sending your AI with an email or call and try to develop a relationship with the owners and managers of your local bookshops, who can often be a huge source of support to indie authors. Whether at bookshops or libraries, author events are a fantastic way to connect with readers. Unless you are really well know, it's best to offer the event free of charge, unless the venue asks for a nominal fee to cover refreshments etc. Your event can be whatever you want it to be - a reading, a workshop or talk, or just a signing event where you can chat to readers. Most people who come will buy a copy of your book, and many will tell their friends about that nice author they met, creating valuable word-of-mouth marketing. One of the benefits of being Indie is being able to do it your way, so be original in your thinking and brainstorm ideas. Author Lindsay Stanberry-Flynn recently held an author event in her local farm shop. Readers were delighted to meet her at this popular and busy venue, and the shop has agreed to take a supply of books to sell on the counter - how many readers will see these books while they are queuing to pay? The benefit of persuading shops other than bookshops to stock your title is that it will often be the only book for sale! 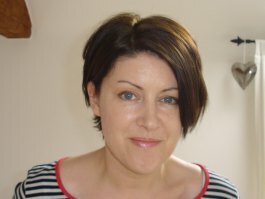 Indie author Alison Morton was not intimidated by the reports that Waterstones were clamping down on events featuring self-publishing authors. Undeterred, and with a quality product printed by Silverwood Books, Alison managed to get Waterstones to agree to let her launch her book from her local branch, gaining her valuable visibility and kudos, as well as some fantastic promotional photos and material for her blog. When you have a book event at a bookshop, the books sold will go through the bookshop's till, earning them a tidy sum too. So be bold and proud - take a sample of your book along with you when you make your bid, and keep on trying until you get the answer you want.